Anyhow, since you're among the beta testers, have you by any chance encountered any frozen lava worlds or the like? What a trailer. I decided that I just had to make an account here just to comment on it now. Just wow. That opening shot could have been used in the introduction to 2001: A Space Odyssey. It represents exactly what Space Engine means to me. The love for the universe. Gazing up at the stars, only now comprehending how unimaginably huge it is. One of my greatest dreams is that I will still be there when humanity sets foot on the surface of a distant world. I'm a hopeless romantic in that way I guess. I keep falling in love with the stars time after time. Your work brings my dreams ever so slightly closer to me. To some it might be a fun toy to spend some free time on, but to me it's art. What a wonderful trailer for a breathtaking engine. <3 I figured it was time to make an account here too. i love everything that is going on with Space Engine. Please, take all the time you ever need on it i would say. never rush it. Idgelios, as I've said before, there are no "lava worlds". There are just deserts, selenas, gas giants, etc. - the same kinds of worlds that already exist. If these worlds become hot enough to glow, then they do. It's just thermal emission which depends on the temperature. The hotter something is, the brighter it will glow and the more yellow/white its color becomes. It must have been their cores that grow much hotter from the inside of the planets. As a magician I have to say that what I have just witnessed is TRULY magical!! Than what about these planets space engineer posted a while back? 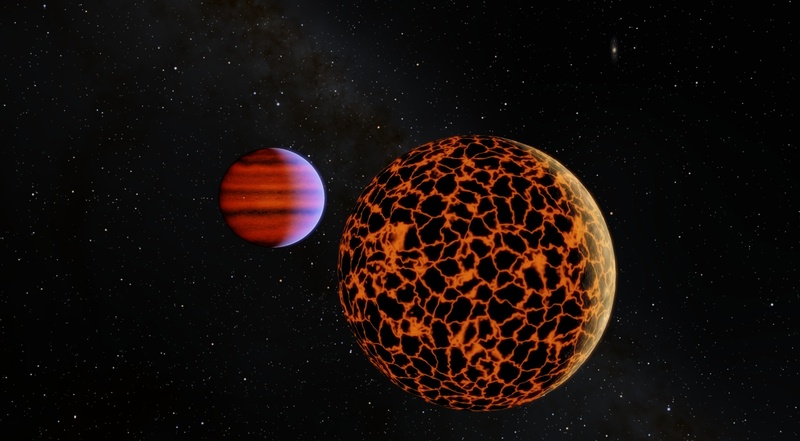 I suppose it is silly to think a frozen lava planet like this would exist since a planet with cold lava is a Selena (a term that I found out is equivalent to moon). I guess I could settle for Titans with global hydrocarbon oceans which I am certain exist somewhere in space engine's universe in 1.9.7.1 as is. I like this a lot. But I don't want the renderings of the present version to be erased. This could be only for making brown dwarfs more diverse. We could make the new renders for low mass brown dwarfs (T and Y) and subdwarfs and enable the current version brown dwarfs to be L and low M class dwarfs. I don't know, maybe is more realistic only like that, but it looks to me that the first picture is a bit simple. I can see now the fine transition between low mass brown dwarfs and high mass planets but I can't see the transition between low mass stars and high mass brown dwarfs. Variety is maybe an important characteristic of these objects. Wow Solaris!!!!! this is going to be great. I now recognize that from all the new features, the star shader is the giant leap forward in the simulator. Such great views!!. My face melted when I saw Io's night side!! such a beautifull view. I have dubs about lava planets and volcanoes. I see that all volcanoes look quite the same, they are shield volcanoes and lava spruts forming a spider structure like a broken egg that looks always the same. 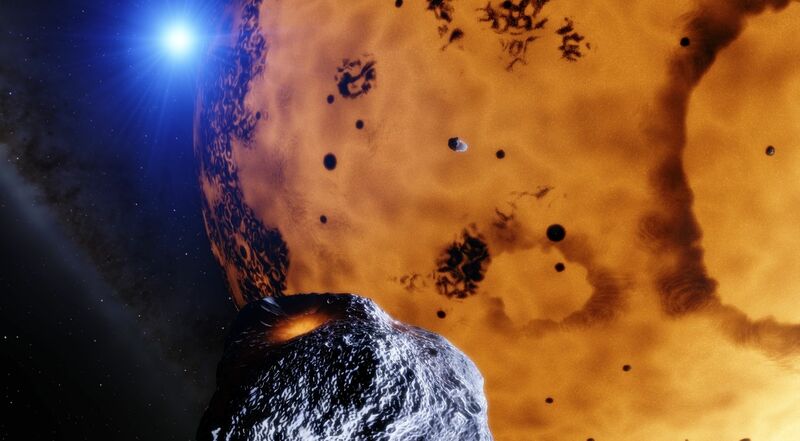 Maybe there are many planets like that, but compared to volcanoes on Earth for example this looks unrealist to me (I think is a gigantic work besides that). The other thing I'm afraid is if there are lava planets or lava regions with that yellowish melted rock that I saw when this feature was been developed or that has been cancelled. Here you have the pictures I'm refering to. This is getting to the level of a masterpiece (artistically and intellectually) thanks to your genius work Vladimir. I will wait even years to the next release if I know the work is continuing like now and when we see 0.9.7.2 I want more features so the experience can get us amazed for quite a lot of time until we ask for more! naaaa, I will ask for more the day it gets released probably, but don't misunderstand me; this is spectacular and amazing but always getting better. Beyond my capacity of words. The other thing I'm afraid is if there are lava planets or lava regions with that yellowish melted rock that I saw when this feature was been developed or that has been cancelled. Here you have the pictures I'm refering to. Those were very WIP, they don't look like that now. Yes, I won't find those type of planets now. well the one that's actually this. 'Looking ahead a bit, is there any ETA or details on Terraforming? Alexander8626, that's off-topic for this thread as it has nothing to do with anything that he has discussed about the next version. Hey, can somebody upload the trailer to Google Drive or so? Seems dropbox keeps blocking the resource.